Taupyen Selchang, Seme: The Nigeria Customs Service Seme Area Command collected the sum of One Billion, Five Hundred and Twenty One Million, Three Hundred and Fifty Nine Thousand, Five Hundred and Sixty Four Naira Seventy Three Kobo (N1,521,359,564.73) as revenue in the month of December 2016. The amount exceeded the monthly revenue target of the Command and the amount collected in the corresponding year 2015 with N499, 558,434.40 and N101, 129,228.70 respectively. The Command also made a total of seventy-four (74) seizures with a Duty Paid Value (DPV) of fifty-five million, six hundred and forty-one thousand, one hundred and twenty-four naira fifty-six kobo (N55,641,124.56) in the same month of December 2016. The Enforcement Unit of the Command has succeeded in suppressing smuggling activities to the barest minimum. Commenting on the success recorded the Customs Area Controller of the Command, Compt. Dimka Victor David disclosed that apart from the commitment of his officers and men, the feat recorded is also attributed to the recent policy pronouncement of the Federal Government banning the importation of new and fairly used vehicles through the land borders. 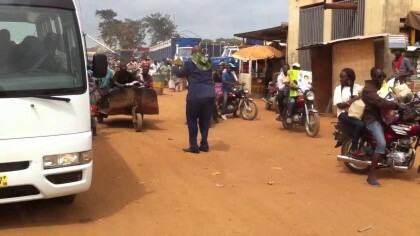 He said, “the policy statement on the restriction of new and fairly used vehicles through the land borders brought about an upsurge in the number of vehicles escorted into Seme border, which translated to the increase in the Command’s revenue figure realized”. The Customs Area Controller further disclosed that the quest of the command to remain passionate and resolute in enforcing the fiscal policies of the Federal Government cannot be over emphasized. Ten Billion Five hundred and three Million, Eight Hundred and Ninety Four Thousand, Eighty Nine Naira, Eighty-One Kobo only (N10, 503,894,089.81) was collected from January to December 2016 on general cargoes and vehicles. Duty and taxes accrued from escorted transit vehicles accounted for 56% of the total revenue generated in the same year. The Command recorded an unprecedented number of seizures (848) with a Duty Paid Value (DPV) of N608, 219,970.94 from January to December 2016. There is a corresponding decline in smuggling activities occasioned by the aggressive anti-smuggling operation of the Command in order to ensure total compliance with the policy thrust of the Comptroller General of Customs and the Service extant laws. Responding to the media on the Federal Government ban on new and fairly used vehicles, the Customs Area Controller said, “the Command is battle ready to implement the Federal Government policy to the latter.” He re-stated that because the wisdom of the Federal Government is above every common sense, the Command have strategized and is still re-strategizing towards the implementation process bearing in mind that the daredevil smugglers can be brutal and deadly. However, he reiterated that the command is battle ready and equal to the task. The Customs Area Controller further disclosed that presently, the vehicle seat in Seme border Command has been disbanded and its officers re-deployed to beef up border patrols for effective implementation of the Federal government policy. He said, the way smuggling of rice was drastically suppressed by the command, it is also fully committed to implementing same for vehicles that will be smuggled through the land border after 1st January 2017. He enjoined the general public, stakeholders to be adequately sensitized and stay away from buying vehicles through the land borders to avoid loss. The Comptroller re-emphasized that facilitating legitimate trade is one of the service core mandates, however, he noted that legitimate trade in new and fairly used vehicles into Nigeria is now strictly facilitated in the seaports.